PINELLAS COUNTY, Fla. — They are two mothers from different backgrounds, but Leslie Walbolt and Chrisandra Harris are both pushing for the same changes in the Pinellas County school system when it comes to discipline. “Suspending kids doesn’t work. Taking kids out of the classroom doesn’t work,” said Walbolt. They say what does work is a method called Restorative Justice. There are face-to-face meetings between the students and those they may have wronged. There are also group talks where the whole class can learn from what happened. “Kids get to feel like they are part of the community and the school and they get to learn from their mistakes,” said Walbolt. Chrisandra says her son is doing much better in school since he started at Pinellas Park High School, where elements of Restorative Justice are in use. “He thinks it’s great. He’s not coming home in a bad mood and spreading it out throughout the house. He admits when he’s said something he shouldn’t have,” said Harris. 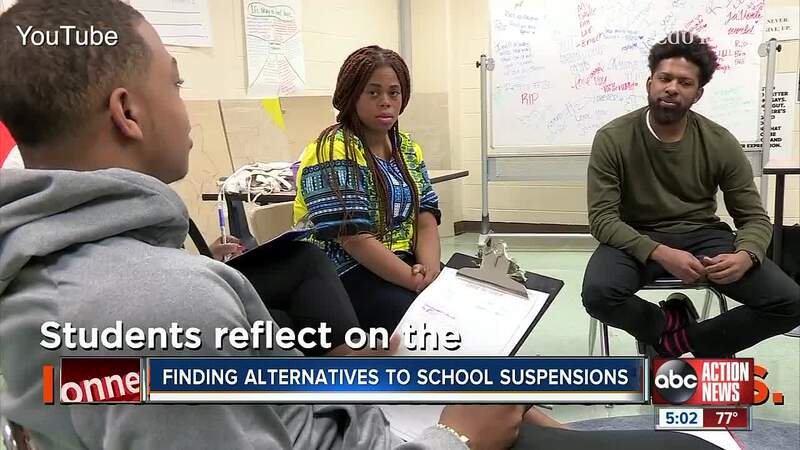 These moms even traveled to Louisville, Kentucky where school officials there say the program has helped to cut elementary school suspensions in half. Other Bay Area school districts use similar models. Pinellas school leaders say they’ve already been using restorative practices for a year. Most staff have been trained and they will continue to grow its use. “If everybody is trained from the teachers to the administrators, cafeteria workers. It works,” said Harris.